Stacey Joy Netzel is one of my favorite authors and I just adored this book beginning to end. What’s it About? After being left one too many times by the men in her life Kyra Sullivan has become overly cautious and really suspicious of love. Then she meets Staff Sergeant Dane Owens and ends up in a crazy situation that ends up bringing her face to face with her fears because Dane has to leave. Not because he wants to but because the military has been his life for so long and he didn’t plan on falling in love with Kyra. Now Kyra has to decide if she can love a man who has to leave or let him go and have faith that he will always come back to her. 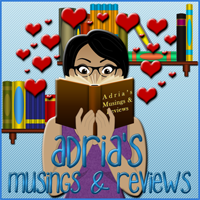 Overall reaction to the book? 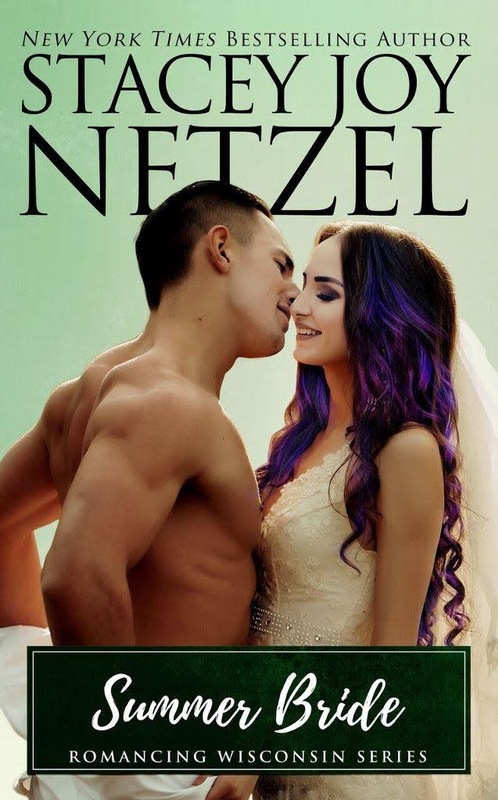 I always enjoy reading Stacey Joy Netzel’s books because I know without question that I’m going to get a great story with laughs, love, heat, and did I mention laughs? Her books always have a quirky sense of humor that sometimes pops up in some of the most unexpected places. Summer Bride had what I was expecting from this author and a dash extra that I wasn’t. I don’t know what it was about Summer Bride that had me constantly tearing up because that just doesn’t happen often with me, in fact it has only happened twice in all the years I’ve been reading romance and both times I knew that was a possibility. This one was a surprise to me. Perhaps it was the plot, a woman used to being left behind meets a guy who falls for her but has to leave because he’s in the military. He doesn’t want to leave her and she needs to learn the difference between someone wanting to leave and someone having to leave. I totally understood Kyra though. She’s had really bad examples of men in her life and that tends to leave a very persistent scar in a person’s mind (Right there with ya Kyra!). I never blamed her for the way she felt or her fears because they weren’t something she was making up. It’s difficult to change the way you think if all you’ve seen are examples justifying those thoughts. I loved her sass and wit because even with her relationship fears, she was a fun character and a good friend. One thing that really stood out for me though was that Kyra had a little problem in her past that made her believe no one trusted her. That problem was surprising because I had never come across a character, let alone a female character with that particular addiction. In my life however, I lived with someone who had that addiction and refused to get help for it. The results were pretty devastating and scary at times so I kind of saw why her family had been reluctant to trust her but in the end Kyra got help and remained on the straight path. That was something that stuck with me, a less than perfect heroine struggling to improve herself and prove herself better than she was in the past. Kyra’s match is in military man Dane Owens and let me tell you, he is total book boyfriend material. Tall, dark, handsome, and flirty, he only intends to have a fling with Kyra but an intense attraction, a silly wedding game, and some prize money later he’s in way over his head with her. And the thing is, this guy doesn’t spend the whole book fighting or denying it. He’s head over heels in love with Kyra and wondering if it’s possible to make it work for real. He’s a good guy, with a big heart, and loads of responsibilities. I loved how he can be a shameless flirt one minute and then in the next he can be a solid, go-to best friend you want around all the time. He’s the responsible guy who is always going to lend a hand but he’s also the guy who can let loose and have some child-like fun with the people he cares about. I loved all sides of Dane. And I think that’s part of what made me emotional about Summer Bride. Dane has such a good heart, and he sort of wears it on his sleeve along with his military uniform. He’s a mix of alpha male and tender hearted provider who takes the loss of life on his watch very personal. How can you not root for a couple that has one person afraid to trust that someone won’t leave and the other who has to leave but will always have a care with another person’s heart? Oy, just thinking about it has even my pragmatic, pessimistic side sighing in envy. Who doesn’t want someone like Dane as their life partner? The pacing and flow of Summer Bride added to my enjoyment as well. The way Dane and Kyra meet is pretty sudden but while their physical connection and chemistry is intense, the development of their romance takes its time. Kyra is skittish and Dane knows he has to leave eventually but in the meantime these two forge a flirty friendship and Dane becomes so entrenched in her life that it felt like he had been there all along just waiting for her to realize how special he was. Add to that a cast of likable and funny supporting characters and yeah, this book becomes even more fun to read. And although it is book 14 (yes you read right) in a series, you can definitely read it as a standalone. Click It or Skip It? Click It. Summer Bride brings major feels and wry humor that make this book a perfect read for any season.